Jerusalem (AFP) - Israel has seen "unprecedented" intelligence cooperation with Egypt and Jordan as the fight against the Islamic State group nudges them to work together more closely, a military chief said Wednesday. 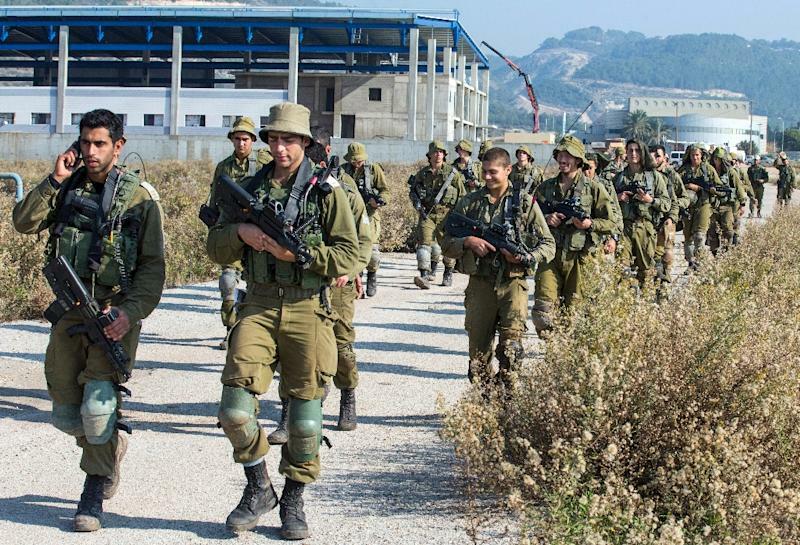 Major General Yair Golan said "there is a strong feeling in the region... that we have to put aside past animosities and concentrate on mutual interests and working together" to deal with the jihadist threat. The Israeli military's deputy chief of staff spoke of an "unprecedented level of cooperation" mainly regarding intelligence. "But that's between defence establishments, and I wouldn't describe that as some sort of reconciliation between the people," Golan said at a news conference for foreign journalists. "But it is a good starting point, and I'm quite optimistic concerning that." Egypt and Jordan are the only Arab countries that have signed peace treaties with Israel, but relations between them remain delicate, particularly over their support for the Palestinian cause. Jihadists in Egypt's Sinai Peninsula pledged allegiance in November 2014 to IS, which controls parts of Iraq and Syria and also has a presence in conflict-ridden Libya. Jihadist fighters have long used Sinai as a base and launched an insurgency after the military overthrew Egypt's Islamist president Mohamed Morsi in 2013. Jordan, which borders Iraq and Syria, has for years struggled with homegrown extremists and is part of a US-led coalition carrying out air strikes against IS. In a sign of the sensitivity in Egypt-Israeli relations, Egypt's parliament in March dismissed a deputy after he held talks with Israel's envoy to Cairo during a dinner at his home. Tewfiq Okasha's hosting of Israeli ambassador Haim Koren sparked outrage in parliament, where one lawmaker hit him with a shoe. Golan also spoke of the threat Israel says Iran poses in the region, saying it is determined to spread its influence through the Middle East. Israel will closely monitor whether Iran complies with the nuclear deal it struck with world powers last year, which the Israeli government strongly opposed, he said. "Look at their involvement in Iraq, their involvement in Syria, in Lebanon, in Yemen, in Sudan and other places," Golan said. "Just unbelievable. You can find Iran today everywhere." Iran has backed Israeli enemy Hezbollah, and Golan said the Lebanese Shiite militia's improving capabilities deeply concerned Israel. He said that could result in "full-scale war", including a harsh response from the Israeli military. "Comparing that to anything we've experienced before, no doubt, this is the most severe threat we've ever experienced before," Golan said. Of a possible future crisis, he said "we're not going to see small war in Lebanon. It's going to be decisive. It's going to be full-scale war ..."
He said that because of the presence of Hezbollah fighters in civilian areas, "there is no other way to take out this threat without really creating large damage to the Lebanese infrastructure, to Lebanese houses and other civilian facilities." Hezbollah has however deployed thousands of fighters into Syria's civil war, and some analysts say that has limited its ability to carry out an attack against Israel.